At present, there is no information about the Embassy of Vietnam in Serbia. If you have any queries or comments, kindly note down in the below form. Vietnam Visa for Hong Kong resident? Why Hong Kong citizen cannot fly from Hong Kong? 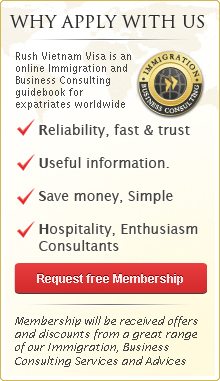 How to apply Vietnam business visa on arrival ? Application for Vietnam visa ? @ 2018 by Vietnam Visa Pro. All rights reserved. VietnamVisa.pro- Vietnam Visa Pro Company offers travelers the best way to get their visas to Vietnam over the Internet in advance. With us, you don't have to wait, send off your passport away because everything will be done via email and fax. We also offer you a number of ways to pay for our service fee from credit cards, bank wire, e-check to online money transfer. Vietnam Visa Embassy Online Services is your one stop shop for all of your Vietnam visa needs.